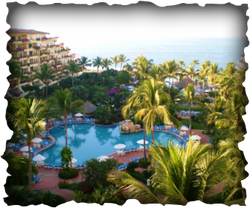 Ocean Front Condo for Rent in Puerto Vallarta! Casa de Herman, condofor rent in Puerto Vallarta, is located in the beautiful five-star resort, Velas Vallarta. Walk to restaurants, restaurants, shopping and local markets.